This interactive infographic provides a high-level overview of factors of well-being in multiple countries. I liked seeing how the data moved from category to category. Check it out here. Designed by Moritz Stefaner. His blog is here. I’m a fan of Warby Parker’s 2011 Annual Report. 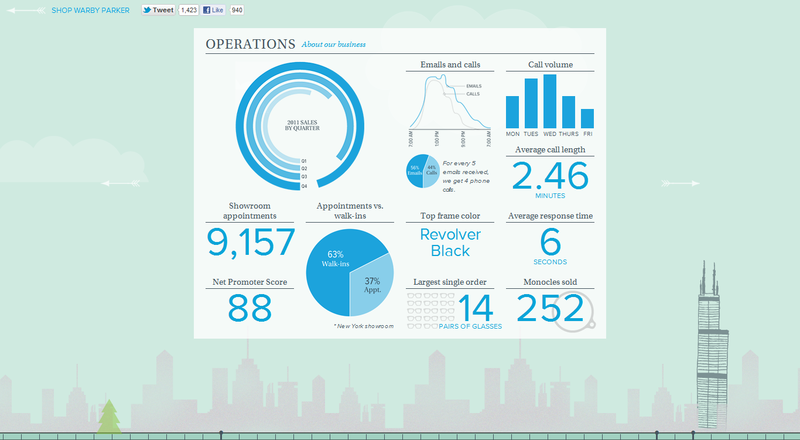 Its use of infographics spruces up the company report more than any other I’ve seen in business classes.